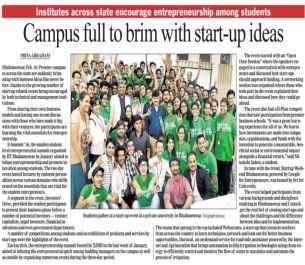 To inculcate the entrepreneurial culture among the students, Sri Sri University has started a centre for Entrepreneurship and Innovation namely ‘SRINOVATION’ with all required infrastructure like computers, office room, multimedia equipment, LCD and discussion tables. We are organising meeting and seminars with various industry officials and successful entrepreneurs. 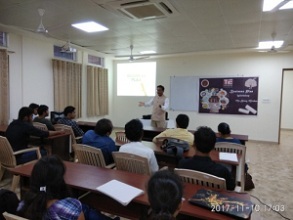 Sri Sri University has a tie-up with National Innovation Foundation (A Wadwani group) to create awareness among the students on entrepreneurship. Sri Sri University also has a tie-up with Ministry of Corporate Affairs, Government of India to offer their courses on Corporate social Responsibility and Social Entrepreneurship. 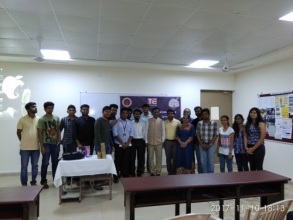 For the last two years Sri Sri University organising the five days workshops on “Product and Process innovation” with Ms. Gayathri Gopal an alumnus of Singapore Management University (SMU), Singapore. University boasts of diverse set of students ranging from fresher’s to experienced professionals with as much as 10 years of work experience. University has been able to attract students from premier colleges including IIT Kharagpur, IIT Delhi, IIT Indore, Thapar University, St. Xavier’s and Manchester University. Apart from attracting students from more than 20 states of India, we also have a few international students enrolled in our various courses. Our university students have performed distinctively and have left their mark by delivering top performances in competitions at premier B Schools like IIM–Calcutta, IIFT – Kolkata, Start Weekend at XIMB University, IMIS and ASBM, Bhubaneswar. Three students from the second batch (2013-2015) of the Department of Management completed their summer internship with the WFEB’s organizing committee for the 1st World Summit on Ethics in Sports which will be held at the FIFA Headquarters in Zurich. Rohan Jain (MBA: 2012-14) represented Sri Sri University at the “International Leadership Symposium” held at the European Parliament, Brussels organized by World Youth Forum for Ethics in Business. Limitless circle: Incubates of NASSCOM 10000 and successfully covered seed stage and now at early stage. They got Rs. 30 lakhs assistance from NASSCOM. 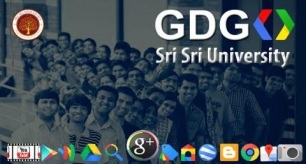 This time for Google Developer Groups (GDG) we presented our students’ ideas for Google to expand its reaches. This time concepts like google hoodie, kinship glasses, google article, google spectre, spot on, google currency, google ville and go arts that received the maximum inquiry from investors from all around the world. 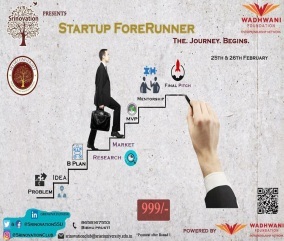 Entrepreneurship Event “Startup Forerunner” was organized by Srinovation (Entrepreneurship Club of Sri Sri University) on 25th & 26th Feb 2017 in collaboration with National Entrepreneurship Network (NEN). Dr. Ajay Kela, CEO Wadhwani Foundation was the Chief Guest in this event. Mr. C Chandra Shekhar, Founder & MD, COROMENDAL ENGG CO.
Mr. Swayam Baral, Director, Canyon Consultancy Pvt. 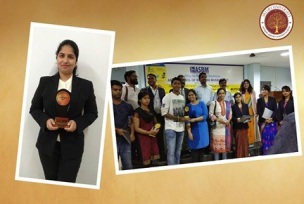 Ltd.
ASBM Business Incubator Centre organized ‘Womenprenuership’ on the occasion of Women’s Day in which Ms. Shobhita Indrakanti, 1st year MBA has bagged the Best Startup Award – Service. 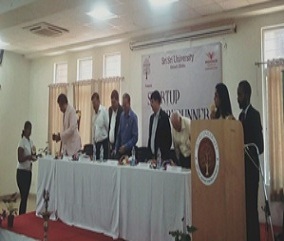 The startup idea propositions are taken for venture funding support from MSME, Govt. of India, New Delhi through further workshops. 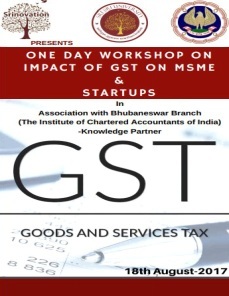 Srinovation (ED Cell of SSU) has organised one day workshop on “Impact of GST on MSME & Startups” on 18th August 2017 at 10 AM. Srinovation (ED Cell of SSU) has organised a Seminar (Interact, Learn & Implement) on 8th Sep 2017. 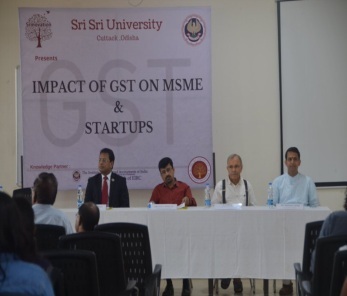 This Seminar was addressed by Mr. Aditya Poddar, CEO & Founder, TYGR App. 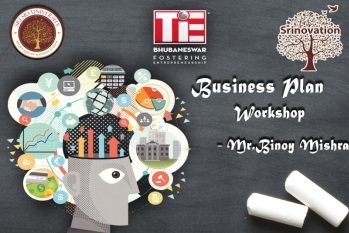 Mr.Bijoy Mishra, CGM of BSNL Telecom Odisha region have shared secrets of writing a business plan and said that writing a smart business plan will affect venture captalists, angels to invest in startups.